FREDERIKSTED, St Croix, USVI — One week following the arrest of a Bureau of Corrections officer for attempting to smuggle marijuana and other prison contraband into the Golden Grove Correctional Facility on St Croix, US Virgin Islands (USVI), another officer was caught, arrested and jailed pending her advise-of-rights hearing — doing the same thing. The Consortium learned of the incident on Sunday November 21, 2016. 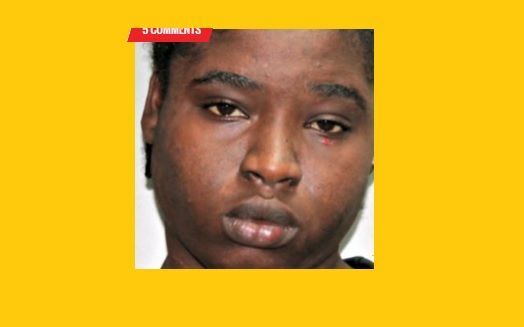 The suspect, 26-year-old Kesha Belgrave, was arrested on November 20 after being caught smuggling contraband and a cellphone into the prison. She was unable to post bail of $10,000, VIPD Public Information Officer Mr Glen Dratte said, and was remanded to the facility’s detention center pending her advise-of-rights hearing. On November 13, the VIPD announced that a corrections officer — 29-year-old Falak Umrani — was detained by another corrections officer and later arrested by police at the Golden Grove Correctional Facility, after she was found to be in possession of prison contraband, to include marijuana, a cellphone and cellphone charger, as well as drug paraphernalia. Ms Umrani hid the items on her person and in her bag, according to Mr Dratte. She attempted to smuggle into the prison approximately 1.5oz (45 grams) of marijuana. this dosent sound fair at all!!!!!!!!!!!!!!!!!!!!!!!!!!!!!!! They feel this was worth losing their jobs and going to jail? WTF? Thought she was a guy, she look jacked up. Those faces ain look like law enforcement people. I wonder what the criteria is for this Job..The system has as much blame. All they have down there are criminals, police officers and Corrections officers.